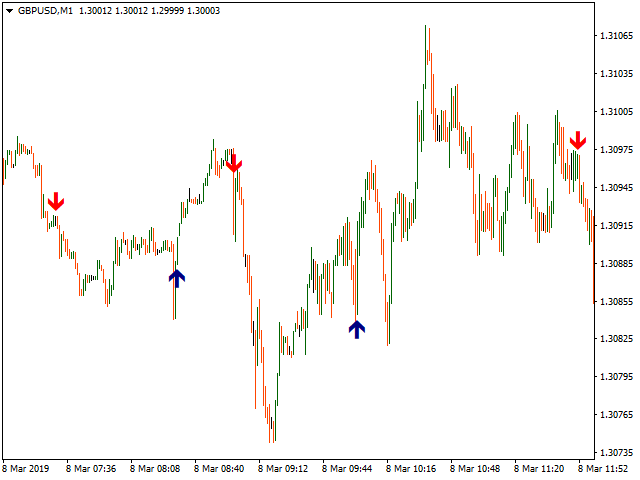 This indicator show you the begin of the Trend by drawing (Up/Down) arrow. It works using compatibility of current fame and the next 3 frames to make it more professional and more profitable. 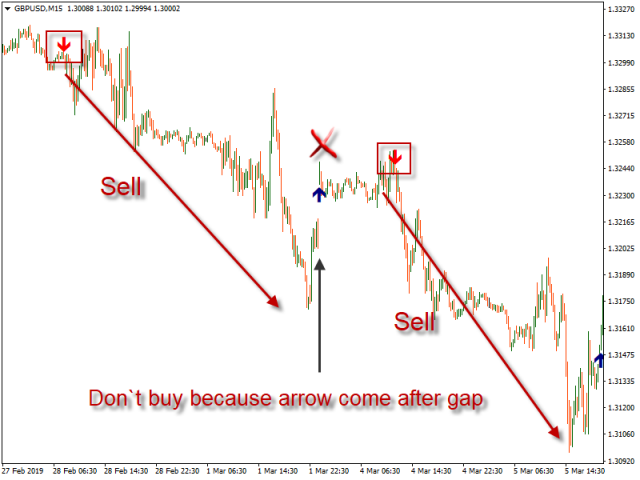 Simply it gives you entry point as arrow (Buy / Sell) after candle closed. 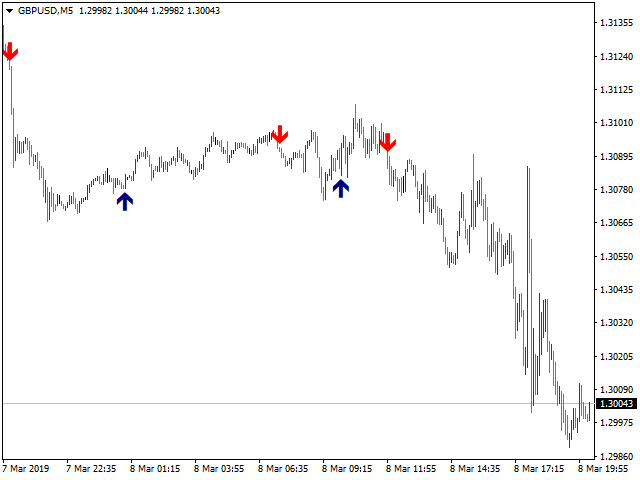 You can use it on time frames ( M1 , M5 , M15 , M30 ) are more profitable. 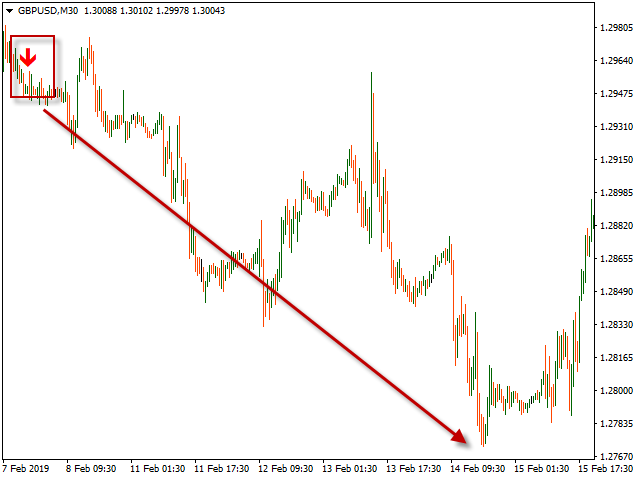 You can use it on any currencies pair. 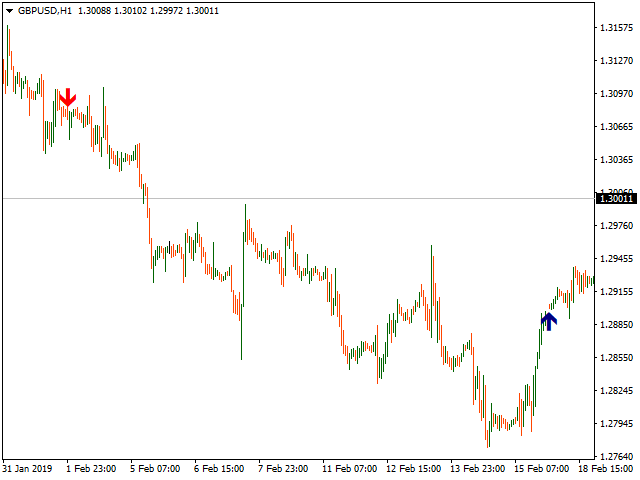 location from H/L candle in points: you can adjust the place of arrow in points. Arrow width: Type the width of Arrow. Arrow Up Color: Choose The Color of Up Arrow. Arrow Down Color: Choose The Color of Down Arrow.